Living in the digital age means many of us spend our days deskbound and we are unable to move as much as we should. Booking in a gym session or a Pilates class doesn’t always fit in with busy schedules and last minute meetings so how can we make sure we keep moving? The truth is you don’t have to be a gym-goer to fit in some exercise to your daily routine. In fact, you can work-out right at your work station. 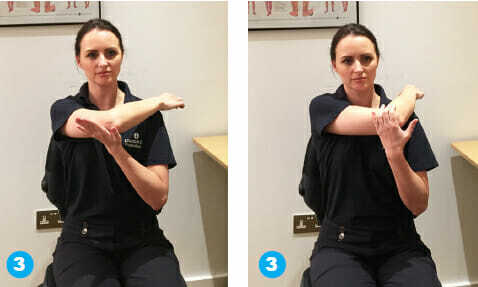 Sitting at a computer can have negative effects on our wrists, eyes, necks and upper limbs so it is vital we take the time to release muscle tension and keep ourselves mobile. We’ve got just the thing – try our top 7 discreet(ish!) deskercises you can do anytime you like. Sit back in chair and take and take support from the back rest. 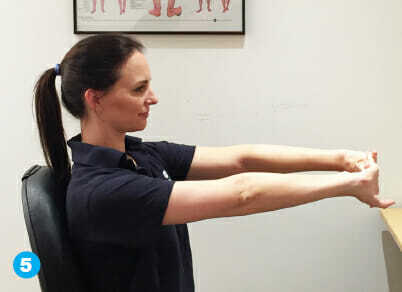 Elevate your shoulders to 90 degrees with your elbows at a right angle (like a dinner fork.) 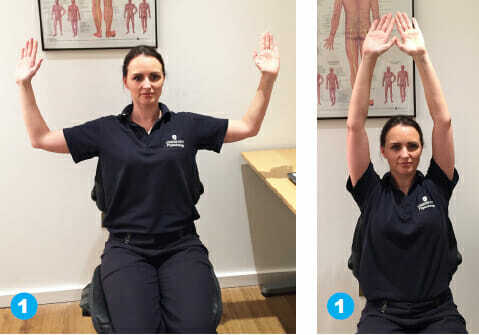 Raise your arms above your head whilst keeping them in line with your trunk, finish by tucking your elbows in to your side with your elbows at 90 degrees. Repeat 5 times. Put your hands behind your head (don’t pull on head), whilst in good upright posture, turn your body to face the left and right slowly. Your hips and low back should remain still. Repeat 5 times. If you have a pre-existing musculo-skeletal disorder or medical condition it may be advisable to discuss these exercises with a medical professional before starting. 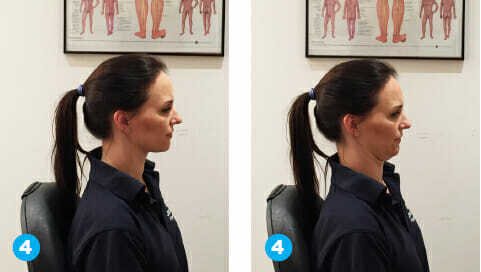 Try to do these exercises frequently throughout the day whilst sitting in your office chair. Doing these few exercises will help to reduce the risk of computer related pain. 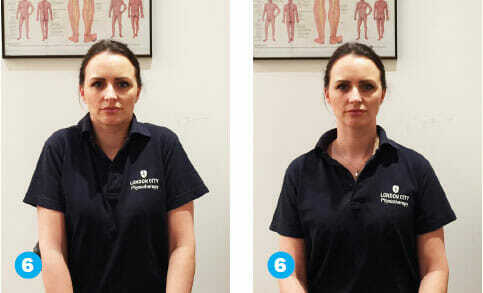 All the exercises should be done slowly, gently whilst sitting in a good upright posture. None of the exercises below should cause pain.